Christian founded AYC International Yachtbrokers in 1994. Christian was born in Brest in 1959. In his youth, he sailed dinghies in the rade de Brest. Then, at the age of eighteen, he bought a nine metre bare hull which he furnished and fitted out himself in his father's woodworkshop during his free time. It would be his first sailboat. He then never let grip of his passion: He first acted as a sailing instructor with the UCPA where he met his wife, herself a dinghy instructor. He then joined the family business in cabinetmaking after training as a joiner and later served in Merchant Shipping as a Maître d’hôtel where he took the opportunity to travel and learn astronavigation. He soon found employment at the Jeanneau shipyards in Vendée as a joiner in 1984, whence he rose to develop their sales network, and direct Jeanneau's second-hand sales in 1991. On the whole, he garnered ten years experience, from shipwriting to commerce, along with a profound understanding of the French nautical industry and its major players. His knowledge and skills naturally drove him to start-up AYC International Yachtbrokers in February 1994: the first second-hand yacht brokerage firm in France. The company is based in La Roche-sur-Yon, Vendée, a region which has grown deep roots in yachting. An early adopter of telecoms with the French minitel, AYC was also the first French yachtbroker to be present on the World-Wide-Web, and marketed yachts online as early as 1996. Christian also realised that transactions were of utmost importance for clients, so he set up a number of procedures to provide guarantees to customers: AYC soon offered comprehensive appraisal expertise, consulted in finance and insurance, and standardised administrative formalities, all the while advising and protecting its sellers' and buyers' interests, acting wholly independently and impartially. After his recent tour of the Atlantic Ocean in 2007-2008 with his family aboard a Wauquiez Kronos 45, Christian stands out today as a specialist for catamarans and offshore sailboats. Summer 2016, the Alubat's board of directors appointed Christian as the new yard's general manager to create new aluminum voyage ships models and to turn up the sales. What a recognition of his experience of voyage ships! 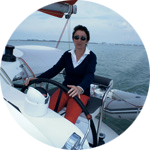 Régine Fonteneau was an Executive Assistant to Jeanneau Sales Management. 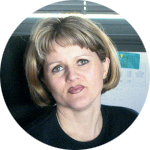 She later joined AYC International Yachtbrokers from its inception in 1994, acting as the Company Secretary and assistant to Christian Picard. After he worked as a photographer, photo shop manager and web projects manager Mathieu Laronde professionally entered the nautical universe as a spare parts and shipchandler shop manager in a Bénéteau dealership on the Ile de Ré. In order to reconcile his professional life with with his family life and his passion for sailing, he tours the atlantic coast with his towable centerboarder. 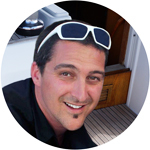 He joined AYC in december 2013 and is in charge with marketing the boats, the internet part and the images processing. Because of his language studies and of his personal travels to North America, Europe and the Indian Ocean, he is able to exchange easily with clients of all over the world. Passionate about travelling and sailing since the age of 13, I have had the chance to sail mainly in the Mediterranean (cruises, regattas, offshore races), and to fulfill my childhood dream by making a single-handed transatlantic race in 2010 from Port Camargue in South of France. After some sailings in the Caraibbean and Polynesia, I returned to Martigues in 2012 and worked for a Beneteau dealer. 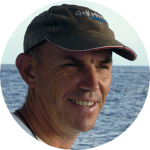 After he crossed the Atlantic to Brazil, Daniel has worked as a blue water cruising teacher in a famous cruising school in Brittany, on the Channel and in the mediterranean. As a captain, he chartered traditional nice sailing boats in Brittany. 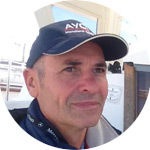 After he has been working as a charter manager in Thailand, he joins AYC with his cruising and boats knowledge but also with his listening qualities and interest for your sailing projects and needs. Isabelle has left us for one last trip, July 2, 2013 following a leukemia. She will always remain in our thoughts.